I had guided Colin now a few times. He lives in Madrid and so fishing time is limited. He fishes with a friend Brian however he couldn’t make it for the two days. Colin though invited his Uni Professor Roger to join us. 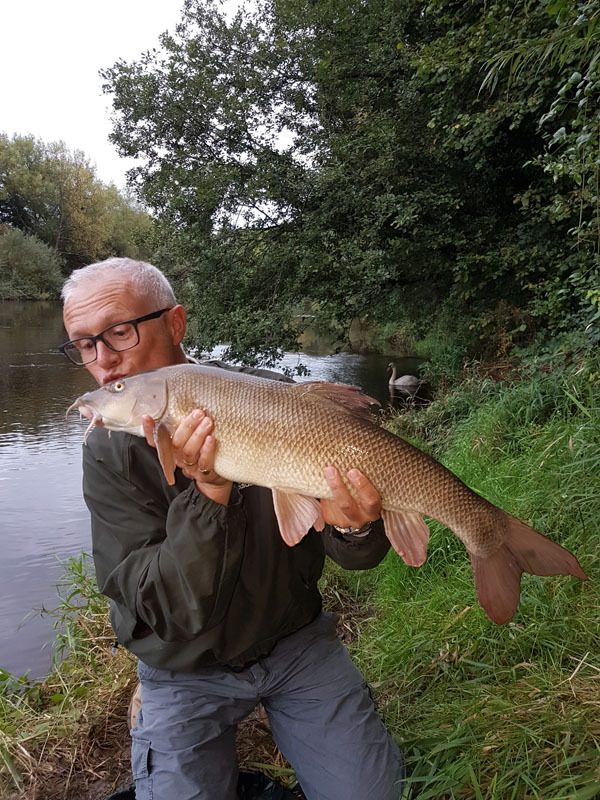 Now Roger had never caught a barbel before so he was really excited. 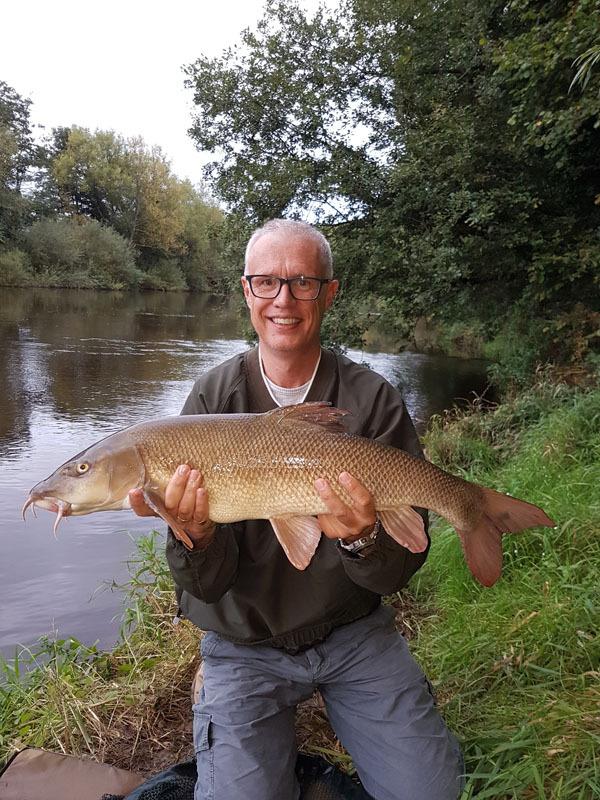 We met early in the morning and fished a swim which had produced a few barbel recently. 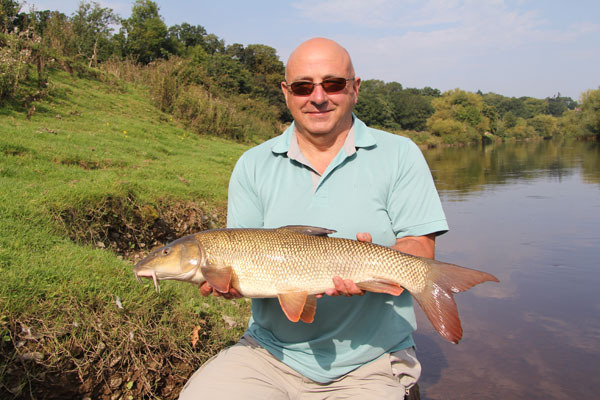 Roger was first on the rods and soon had the first barbel of the day and his first too. 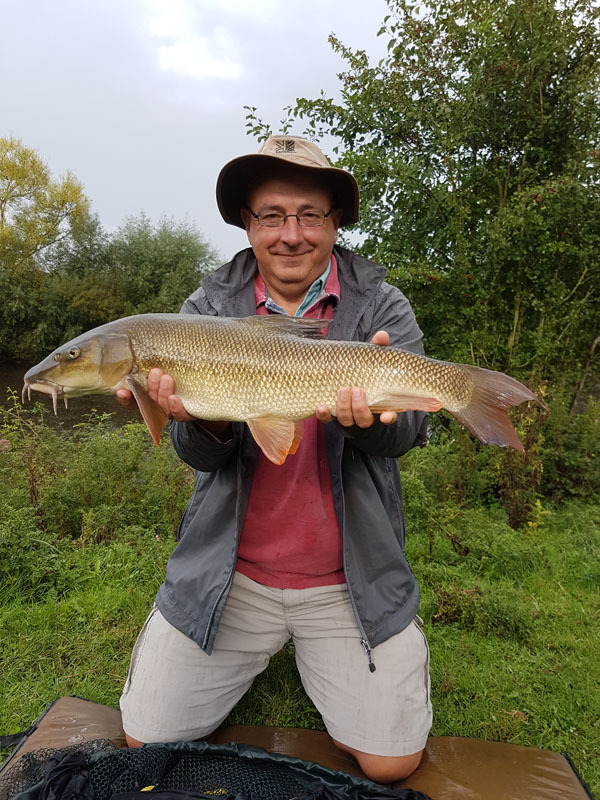 It wasn’t the largest barbel however his pb. Colin was next on the rods and he caught a barbel of 7lbs 5oz. The fishing was slow as the river was still low and clear. Roger ended with 4 barbel and Colin with 2. However Colin had a new pb at 9lbs 13oz and to say he was happy was an understatement. The next day we decided to fish another stretch which was a very long walk of 1km. Stupid me left the pellets in the car and had to return to collect. We started to catch fish from the off. Colin had 2 chub quickly. Then a thunder storm arrived with continual lightening. We reeled in and put the carbon rods on the ground for 1.5hrs while the storm passed over. The rain was heavy at times however by mid afternoon it began to dry. A few more thunder storms passed by but far enough not to be worried about being struck by lightening. 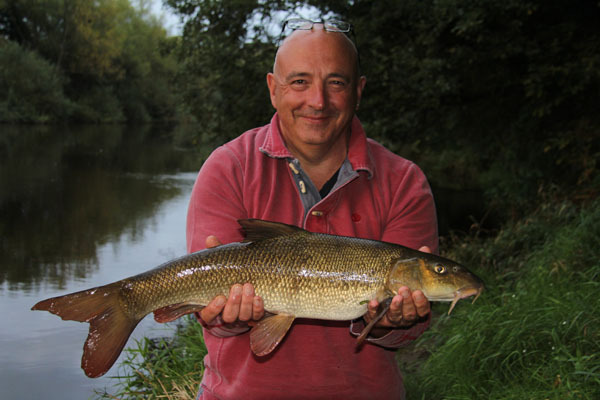 The barbel and chub continued to feed and 7 barbel were landed together with a good few chub. Roger had a couple of 7lber s and Colin some 6lbers. So a very successful day again. I look forward to seeing the two of them again. This entry was posted on Monday, October 24th, 2016 at 8:34 pm	and is filed under Uncategorized. You can follow any responses to this entry through the RSS 2.0 feed. Both comments and pings are currently closed.